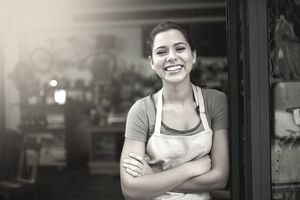 If you dream of opening your own restaurant, there are plenty of things you can do beforehand, including getting your personal finances in order, narrowing down potential restaurant locations, and drafting a business plan. You should also give careful consideration to your current job. Will you work at your old job until the opening day or will you have a plan in place to be unemployed for the time it takes to open your new restaurant? Once you are ready to approach a bank or investors about your restaurant idea, you will have all your homework done. To make everything easier for writing your business plan and applying for financing, (more on both of those in a minute) it’s a good idea to gather up copies of all the paperwork you will need. Standard paperwork to gain any kind of financing includes three years of tax returns, your most recent pay stubs, personal financial statement. It is also a good idea to run your credit report, so there are no surprises before your bank interview. Don’t be hasty when choosing a location. There are many factors to consider, including visibility (either by car or by foot), the local competition, and zoning ordinances. The location of your restaurant is going to help you formulate a thorough business plan. It will give you an idea of seating capacity and kitchen size. It will also help you plan a budget, allowing you to factor in the cost of your rent, mortgage or lease. Consider your business plan to be the skeleton of your restaurant concept. From your business plan, you will build your restaurant. You’ll need a well thought out plan to entice investors, whether private or public. A basic business plan includes an executive summary, company description, market analysis, profit and loss statement, and start-up budget. A great business plan (and that is the only kind you should give the bank) will show you have done your homework and that you understand the local market, competition, and possible risks and gains. As part of your business plan, you need to decide how much you are comfortable borrowing, as well as what you are approved to borrow. What kind of collateral do you have, versus what collateral are you comfortable with. Are you really comfortable with a second mortgage on your house? Who are you looking at for investors? Banks, of course. There are also small business organizations, government loans, and programs for certain groups or locations, and private investors. Before you approach any potential investors, create a snapshot of the projected growth of your new restaurant. You should include a general start-up budget and a profit and loss statement that projects how much are you going to spend vs. how much you are going to make. Opening your own restaurant (or any small business) is a big lead if you are leaving a steady paycheck, benefits, health insurance and a 401K. First and foremost, you need to make sure you will be comfortable doing that. And be comfortable being your own boss. This is an area you need to be honest with yourself, ready to work a lot, is your family ready for that? Are you ready to be your own boss? It is easy as a restaurant owner to want to do everything yourself, from the cooking to the marketing to the bookkeeping to repairs and maintenance. However, trying to do everything, whether out of financial concern or simply because you don’t think anyone can do it “right” will quickly run you and possibly your business into the ground. If you are serious about opening your own restaurant it is never to early to start planning. Preparing for a new restaurant is more than choosing a name and writing a menu. Getting real about your finances, current job, and business plans will help you have more confidence when you meet with investors.